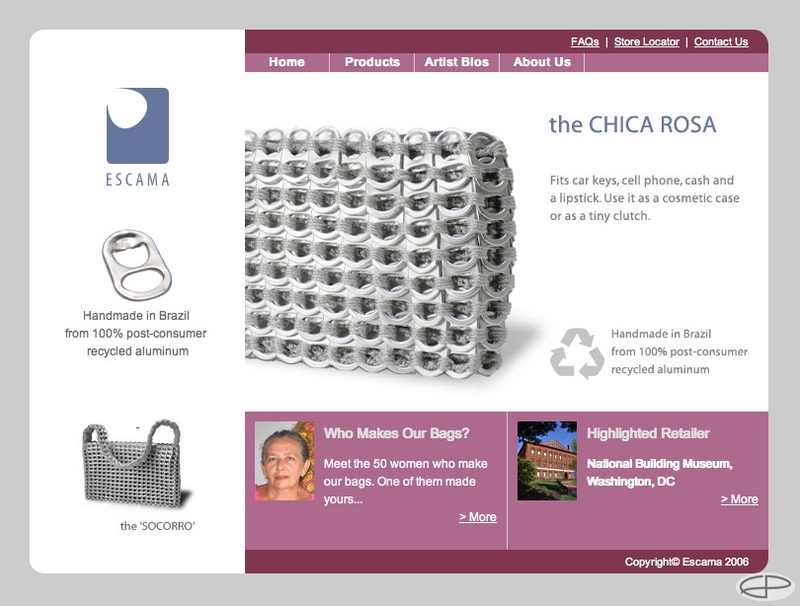 Escama Studio is a line of hand bags manufactured in Brazil from recycled materials. The bags are produced by the women of the Cia do Lacre and As Panteras do Lacre cooperatives – cooperatives that were established to help women in the under-developed areas around Brasilía, Brazil, to gain entrepreneurial experience. I’m a founder of sorts but Andy runs the show. I help from the sidelines when I can doing the collateral, web site and help with marketing.